When Colin’s brother Luke gets extremely ill with a cancer called Leukaemia, Colin is determined to find the best doctor in the world to make his precious brother better. His hard hearted mother and father send him to England to saty with his Auntie Iris, Uncle Bob and hypochondriac cousin Alistair in England. I think that was because they wanted to get rid of Colin so they could focus on Luke instead of having to deal with Colin too. I like this book because it is a book about a serious matter but he has made it into a fun book for adults and kids and I think it is really cool. My favourite bit of the story is when he writes a letter to the Queen asking for help. What’s written in the story is very humorous and I really liked it. I need to speak to you urgently about my brother Luke. He’s got cancer and the doctors in Australia are being really slack. If I could borrow your top doctor for a few days I know he/she would fix things up in no time. Of course Mum and Dad would pay for his/her fares even if it meant selling the car or getting a loan. Please contact me at the above address urgently. P.S. This is not a hoax. Ring the above number and Aunty Iris will tell you. Hang up if a man answers. If you want something done properly, Colin reckons, go straight to the top! After all, if the Queen can’t help, who can? This book really changed my point of view about Morris Gleitzman. I read his book ‘Toad Rage’; I really didn’t like that so I thought that the just wrote boring books about toads and other less interesting animals (no offence to any toads that read the blog). But then I read ‘Two weeks with the Queen’. I think that ‘Two weeks with the Queen’ is an amazing book full of humorous jokes and funny comments. I would highly praise this book as one of the best books I have read. I would also recommend this book to any reader that loves to be hooked into a book, someone who loves to laugh, a bookworm that likes a book that makes you feel empathy and a book lover that can put themselves in the character’s shoes in any situation and I think that is what Morris Gleitzman is targeting when he is busy writing these amazing books. Dingoes are Australia’s wild dogs. They are found in all states in Australia but Tasmania. You may also find them in Australia close to a source of water. Dingoes are mostly medium sized dogs with a cute bushy tail and have a red to yellow coat. Dingoes don’t bark but they do howl and whine as methods of communication. 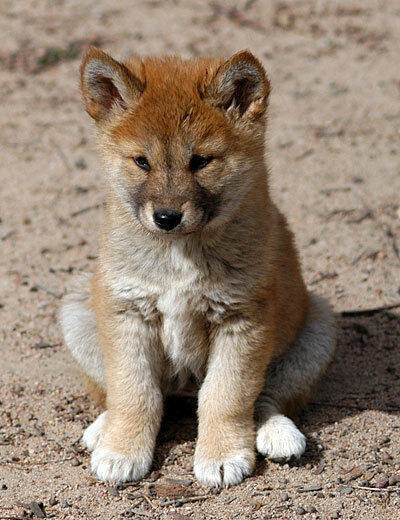 I think Dingoes are really cute and I would have one as a pet if they were available in England! Dingoes are now officially my favourite animal after every other one in the world. ¨ Dingoes have a very athletic build and they are extremely agile. ¨ Male Dingoes always tend to be larger than females and the Dingoes that are found in Australia also tend to be larger than those found in South East Asia. ¨ The ears of a dingo are large and pointed. Their eyes are brown in colour and almond shaped. ¨ Dingo puppies are WAY cuter than dingo dogs!!! Dingoes are carnivorous mammals, and scavengers. They eat lots of other animals, especially when these animals are road kill and carrion like sheep and cattle. They also eat injured and sick large mammals, but tend to prey on the smaller mammals like possums, rabbits and all types of birds. Being very greedy animals, the will eat insects and rodents like Rats Mice Crickets and Cockroaches and even lizards. Have you changed your mind yet or if you already liked Dingoes, then did you like my blog entry? This book is about a toad thinking that humans hated them because they always ran over the toads. I thought this book was a good book because it was a funny book but had a deeper meaning behind the story. Limpy (the toad who thought humans hated them) went on a risky journey to the Olympics so they could be more popular with humans. This happened happily but made stuffed toads with real toads! It finished with the same start which I thought was clever. The deeper meaning of this book is that if you look ugly it does not mean you are mean and nasty. When I started to read the book ‘Toad rage’ by Morris Gleitzman I really enjoyed it. The book is about a cane toad called Limpy trying to figure out one of the questions he always wanted to find an answer to which was, why do humans hate us?. He starts by asking his family. They all said that either he was an idiot or, that’s the way life is. He then decided to go on an adventure and find some humans and ask them why they hate cane toads. I didn’t think the book was interesting enough for me. I don’t think I will be reading that book again and I hope to enjoy more books by Morris Gleitzman like ‘Two weeks with the queen’ and I also hope to read the book ‘Water Wings’ by Morris Gleitzman too. I really enjoyed reading Toad Rage, because it was really funny and I thought it was one of the best books I have ever read. However I thought it could be a bit longer so that it got more and more interesting as the book went on. As soon as I had finished Toad Rage I wanted to read more of Morris Gleitzman’s books so that I could have more of a feel of what his books are really like. I think that all his books would be as good, but I still think Toad Rage will be his best one. Danielle Jane Minogue was born 20th October 1971 in Melbourne Australia. Dannii is a singer- songwriter, actress, television personality, radio personality, fashion designer and model. In June, when she was 7, she had a secured role in the Australian television programme Skyways. A number of guest appearances followed leading to her appearance as a talent discovery on the popular show Young Talent Time. Young Talent Time is an Australian television variety program that ran from 1971 until 1988. She then continued to perform on TV many times after that and soon got famous for releasing lots of albums like the album called Dannii and one that’s called Danni Minogue Neon Nights. I’m not a massive fan of Dannii but I still think her music is cool. I listened to some of the tracks on the album Dannii Minogue Neon Nights and I thought they weren’t as good as the other albums but they were OK.
As Dannii got older she produced more and more songs and albums. In 2007 she joined the judges on the X Factor. She was also a great mentor and gave the contestants really good advice and she won both years with Leon Jackson in 2007 and Matt Cardle in 2010. In 2011 she decided to quit the x factor. She is now 40, has a boy called Edward and she is still with Kris Smith the English model and ex-professional rugby player. Matthew – What feelings do you experience whilst playing the didgeridoo? Both emotional and physical feelings. I feel like my breath and rhythm is all one thing. Sometimes I feel I am dancing in the music. Morgan – When was the first didgeridoo made? (Chris told us a story about the Dreamtime and an Aborigine.) In the Dreamtime, an Aborigine blew into a piece of wood which was full of termites. He wanted to blow out the termites so he could have them for his dinner. He blew into the wood and the termites flew out spreading out over the land. They then lifted up and became the Milky Way. Aborigines have a completely different time to us. Their time is Dreamtime, our time uses numbers. Ella – Do you think it’s good for us to learn about Australia and would you do it personally? I think it’s great for your whole school to learn about Australia and across the whole year. It is a fascinating country and it is a great idea. Robyn – What inspired you to play the didgeridoo? I was working in a shop in Bath which sold didgeridoos. I loved the sound of them and I wanted to learn more. There was a CD playing with didgeridoo music and I liked the sound of it. Sophie – Who got you interested in the didgeridoo? A guy called Mark Robson from a band called ‘Kangaroo Moon’. Iman – How did you learn to play the didgeridoo? I taught myself by practising and practising and listening to didgeridoo music. Emily – How long have you been playing the didgeridoo? I started when I was 23 and I’ve been playing for 17 years. Courtney – Does anyone else in your family play? A few have tried but just for fun! Jago – How many didgeridoos do you have? I’ve got 100 practice ones that I take into schools and 9 other didgeridoos that I play on which are made of metal and wood. I’ve also got a tromberidoo- a combination of a didgeridoo and a trombone. Mollie – Do you have a favourite didgeridoo? It changes from day to day. I don’t have a particular favourite, it is whatever feels right on the day. Mr Whitewick – Do you ever get to play with others? I mostly play on my own but I use to be in a band called ‘Jabberwocky’. I don’t get to play with others very often. I was the only didgeridoo player in the group. Mr Whitewick – Do you ever get to play with other didgeridoo players? Sometimes. When you all play in tune together the sound you create can be amazing. The music penetrates. It gets into your bones. Matthew – Do you enjoy teaching people? I love it. When they are inspired it is great fun. Sometimes they surprise themselves by using circular breathing without trying to! Mollie – What can didgeridoos be made out of? Metal, wood, glass, plastic, fibreglass and pottery. Mr Whitewick – Is it easier for kids to learn to play then adults? No, it’s not easier for kids than adults but kids tend to learn quicker. If you really want to learn, you will. Freya – Can you play any other instruments? I can play percussion instruments because of the didgeridoo. Iman – Can you play the didgeridoo for a certain length of time? Not really. You keep going until your lips don’t want to work. The longest time I’ve played for is about 12-13 minutes. Some players can go for up to 45 minutes. Mollie – Which didgeridoos don’t you have? I don’t have a glass, fibreglass or metal one. Mr Whitewick – Is there a certain didgeridoo you would love to have? I’d love to have a slide didgeridoo but they’re expensive. Emily – Was it hard to learn how to play? I found it hard and I got frustrated at times because it felt that I hadn’t learned anything new. When you are frustrated it is better to put it down and leave it alone and come back to it later. I found that when I came back to it, I realised I had learned new things and was getting better. Iman – Can you play any other instruments because you know how to play the didgeridoo? Circular breathing helps with instruments like a saxophone, clarinet and trumpet. Do you do private lessons as well as going into schools? Yes, I also do some performances. I have got 2 claims to fame. The first one was when I played with Rolf Harris and his band. My second one was when Eric Clapton signed my didgeridoo. Ella – Where did you visit when you went to Australia? Mostly the East Coast between Brisbane and Melbourne. My favourite place to visit is Bald Rock which is the second biggest single rock in Australia after Ayers Rock. Sophie – How long do you practise for? I practise 10 minutes a day but I haven’t been practising at all lately! I must get back to it! Mr Whitewick – When your feeling sad or unhappy does playing the didgeridoo help? Sometimes, it helps me feel better when I do. Interview by the whole blogging group and recorded by Matthew. At 10.45 am today the whole school came together to celebrate Remembrance Day and to hold a two minute silence. First, Mr Whitewick spoke to us about remembering. Then, Zephaniah Class showed some research that they did about soldiers that were in the First World War. The soldiers were ANZACs- Australians and New Zealanders. Each pupil in Zephaniah read out a name of a soldier. After that we did our two minute silence at 11.00 am. We stood and remembered the ones who lost their lives in the war. Next, we played a song called ‘We Will Remember’ while a member of each class, including Rainbow Early Years, placed a cross with their class name on it. Mrs Farmer planted the cross for the members of staff and governors. One pupil planted the Star of David with a poppy on it and another pupil planted a Muslim crescent. In our class we have been learning about the stolen generation. The stolen generation was when Australian aborigine children were forcibly taken away from their families according to their skin colour. If you had pale skin you would be taken away from your aborigine family and get given to a white family. I think that what they did to the aborigines is wrong and I felt very sorry for the people who went through that. The stolen generation went on from 1910 to 1970. We read about some of the people who were part of ths stolen generation. Here is one of the experiences. It is about Bill Simon. We read about him in our class. ‘It was winter 1957, seven o’clock in the morning. The sun was up and the sounds of birds drifted down into our small kitchen. My brother Lenny was sitting on the floor, eating toast; my brothers Murray and David and I, rubbing our eyes in a state of half sleep, were waiting for mum to smear Vegemite on our bread before we dressed for school. A routine day in the Simon household. ‘Someone rapped loudly on the door. My mother didn’t answer it. We hadn’t heard anyone come up the path. The knocking got louder, and finally my mother, who was reluctant to answer any callers when my father wasn’t home, opened the door and exchanged words with three people. We strained to hear what they were saying. Three men then entered the room. ‘A man in a suit ordered my mother to pick up Lenny and give him to me. My mother started to scream. One of the policemen bent down and picked up my brother and handed him to me. My mother screamed and sobbed hysterically but the men took no notice, and forced my brothers and me into a car. Simon was ten years old when he was taken to Kinchela where he remained until he was 17 years old. The abuse he suffered left him unable to have healthy relationships and trying to numb his rage and violence with drugs and alcohol. Simon was in his 30s when he finally met his mother again. But it was too late, his mother, re-married with other children, rejected him. When I read that story, and I didn’t understand until now how much pain and hurt they went through. I read most of the stories and for me that one was the saddest.